Here’s the official movie poster for The Kennedy’s, an upcoming eight-part miniseries that will air on the History Channel in 2011. 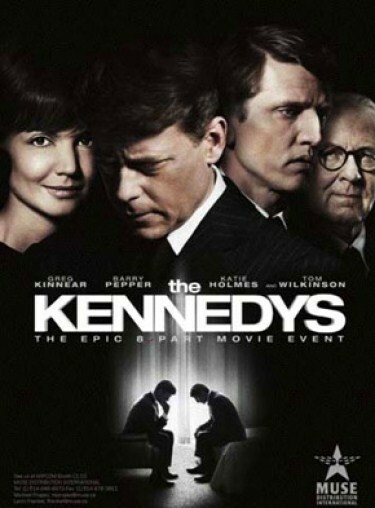 It stars Katie Holmes as former first lady Jackie and Greg Kinnear as John F. Kennedy. The film is already causing a lot of controversy with historians due to the factual errors in the script. I thought this was going to be a movie – since when does a mini-series get a poster? I guess they think that the movie is going to be popular but I don’t really see people hanging this poster in their bedroom – do you? Katie Holmes Still Has a Real Smile In Her!